Daily Prophecy Digest | Revelation 5:5 "Weep not: behold, the Lion of the tribe of Judah, the Root of David, hath prevailed to open the book, and to loose the seven seals thereof." Do the Names of the Antichrist Reveal the Final Biblical Kingdom? I love this article and was going to write a post about this very subject, but I doubt very seriously that I could cover it any better than this post by P2ALM has already done. Time is of the essence and I will reblog posts as necessary to get the basics here on Daily Prophecy Digest quickly! This is a foundation to understanding Eschatology as the title states. To read the whole article click here or the link at the bottom that says view original. NW Mega Earthquake? Imminent or Bogus? What is the Antichrist Spirit? Does Islam Fulfill This Definition? Will the Antichrist Really Rule the Whole World? 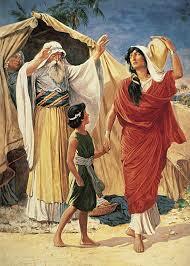 Zechariah 12:1-3 Prophecy Unfolding Right Before Your Eyes! Do You See? Will the Antichrist be a Gay Atheist from Europe Resurrected from the Dead to Rule the Whole World? Amazing Facts EVERYONE Should Know About Islamic End Time Prophecy! Iran’s Moves in the Middle East: Why Should You Care? Daniel 9:26 Controversy: Who are the People of the Prince to Come? The Man Most Used by God to Seal Daniel? Is the Book of Daniel Really Sealed?